At forty-something years old, the narrator of this book returns home and begins to remember his childhood. Once a quiet and introverted boy, his imagination pieces together what happened in his past, and not all of his memories are positive ones. 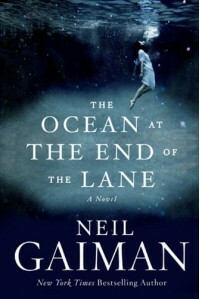 Neil Gaiman’s writing style takes on the viewpoint of a seven year old boy in a believable and engaging way that makes you feel as if you are him. All of the characters in here were realistic and memorable. This is great book for those who enjoy reading about everyday life from a child’s perspective, with a magically woven veil over their eyes.